Customers around the globe request MedicaPharma to source exclusive active pharmaceutical ingredients (GMP) on a daily basis for various reasons.In many cases there is simply no pharma grade GMP source known and the concerning material is only available in tech grade so basically not suitable for human use. It can also be the case that the concerning material is not mentioned on any product list of the existing suppliers such as Fagron and therefore not available. Other reasons can also be an MOQ elsewhere which is too large, an existing producer with a rejected batch, material with a missing Written Confirmation when the material comes outside of the EU or commercial restrictions from the manufacturer to supply a certain country. MedicaPharma can be at your service in all the above mentioned cases to supply you with exclusive active pharmaceutical ingredients (GMP); we start where others stop and would love to send you our best quote ! A Dutch hospital asked us by example to supply them with Oxymetholone in pharma GMP grade for compounding purposes a while ago; no GMP source was available worldwide, only final dosages from India in GMP grade. It took us more than a year of sourcing efforts and finally we got in contact with a European manufacturer at the CPHI in Madrid who was just starting up a new GMP production process for this particular Oxymetholone in GMP grade. Finally we were able to supply our Dutch customer with this concerning Oxymetholone in GMP grade. MedicaPharma keeps on tracking and tracing active pharmaceutical ingredients (GMP) and only stops sourcing when you are being served. 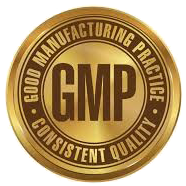 In case there is no worldwide GMP manufacturer on hand, MedicaPharma has the possibility to have the active pharmaceutical ingredients (GMP) produced in a facility in Europe on a custom manufacturing basis. In case you have any needs or current supply difficulties, just contact us ! 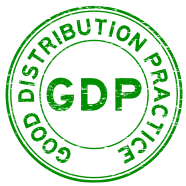 Sourcing your active pharmaceutical ingredients (GMP) is in any case free of charge.